– in conversation with portal wPolityce.pl prof. Collaborator. dr. Czesław P. Kłak Judge of the State Court, Member of the Criminal Justice Council at the Ministry of Justice. wPolityce.pl: Professor, what is the Judgment of the Constitutional Court for the Judicial Council? 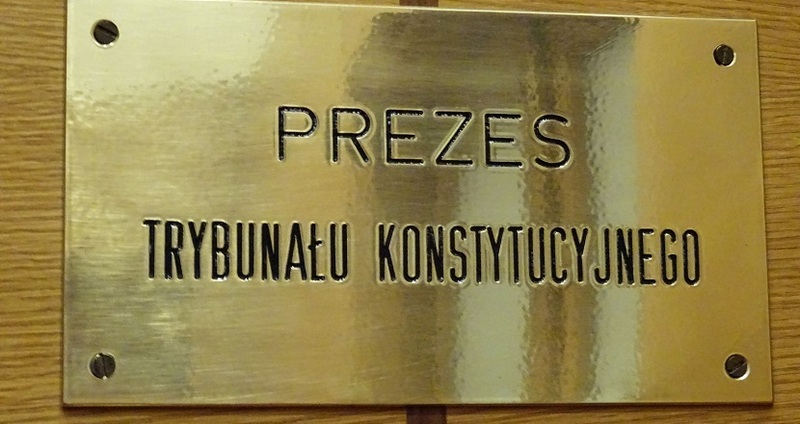 The Constitutional Court decided that the selection of so-called judges of the national court register by the Sejm is in accordance with the Constitution. The recognition of a provision which confers such powers on the Sejm as compliance with the Constitution means that the choice on this basis is constitutional and can not be called into question. Consequently, the composition of the national court register was not called into question on the basis of the new provisions. Therefore, the National Court Register can continue its constitutional and statutory tasks in the current composition. What is a judgment important for the legal system in Poland? The judgment of the Constitutional Court is final and can not in any way be challenged because the Constitution does not provide for the possibility of challenging the judgments of the Constitutional Court. Thus, regardless of the content of this judgment, it must be recognized that the matter of the constitutionality of the choice of members of the national court is terminated and that this case can no longer be subject to further consideration because there is no way of verifying the CT judgment. The Constitutional Court rejected the decisions of the Ombudsman Adam Bodnar, who demanded, inter alia, the exclusion of Judge Justine Piskorski from the case. Is the Constitutional Court's decision identical to Mr Bodnar's compromise? If the fair has been elected by a court judge and if the President of Poland has sworn it and there is no way to verify these acts, then the identity of the person who will participate in the Constitutional Court can not be doubted. There is therefore no reason to request the exclusion of such a judge from the Judicial Council. Judge Justyn Piskorski did not take over anyone in the Constitutional Court because he was not effectively filled. Failure by the president of the republic to take an oath from a certain person means that the process of designing a person for the position of a judge of the constitutional court has not ended, and therefore the situation was not actually met. Therefore, this position can not be accepted because simply not all the activities needed to fill it were completed. "Legality legalized lawlessness", "logical caricature, legal lie" – thus representatives of the opposition comment on the judgment of the Constitutional Court. How do you comment on these statements? We can agree with the CT judgment or not. The question of the constitutionality of the provisions can be assessed in a different way. In a free state, nobody can forbid anyone to make their position on certain provisions even incorrect or unreasonable. However, you can not refuse a judicial decision issued by the state's constitutional body simply because we have a different opinion. The competent authority issued a judgment in a proper manner which solved a particular issue. The ruling will have effects, no matter what the estimates of politicians. In the rule of law, politicians should refrain from such comments because they do not create a sense of legal security and respect for constitutional state authorities. There is an accusation that the court will compete against the Court of Justice of the European Union with regard to the national court register. How are you connected to this statement? CT has its own jurisdiction and the Court of Justice of the European Union has its own powers. The Constitutional Court assessed the compliance of the impugned provisions with the Constitution and its exclusive competence. The question of examining these provisions from the point of view of the Constitution is closed. The Court of Justice of the European Union can not assess the constitutionality of Polish legislation, nor can it express its opinion on the interpretation of the Polish Constitution and the Constitution of any Member State. The Court of Justice of the European Union can not assess the provisions relating to the procedure for the election of members of the national court register, as there are no specific provisions in EU legislation, there is no standard in this area, and in different Member States very different solutions have been adopted, including those in which it is generally considered that the Judicial Council is not in the system of state authorities (Austria, Germany).